Doñana is a Natural World Heritage wetland, highly dependent on water, which is threatened by the - often illegal - water abstractions and inefficient use at 6,000 hectares of strawberry farms. The strawberry is one of the main crops of the Doñana. 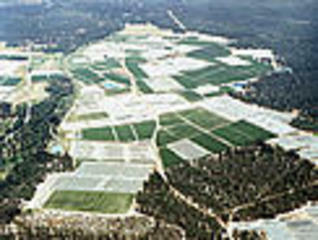 With almost 6,000 hectares of farmland, this area produces most Huelva strawberry and about 60% of the strawberries in Spain. At the same time, as it has been shown that production of strawberry is having a severe impact on the quality and quantity of water available for wetlands in the National Park, and connecting with other areas of Doñana value inside. In Doñana, the exploitation of water used for growing strawberries is illegal in about 50% of the fields, because the wells are dug and water is extracted without the necessary permits and licenses. In addition, part of the strawberry fields of the area has been planted in forest areas, occupying and cutting pine public without proper permits. In the past 30 years the contributions of the aquifer to the Rocina creek, one of the main tributaries to the National Park, have fallen by 50%. To this we must add that the spatial distribution of strawberry and associated infrastructure has led to fragmentation of habitats surrounding protected areas, hindering natural corridors for terrestrial wildlife moving in and out of the park. These impacts are compromising the maintenance of biodiversity in Doñana long-term conservation of the most sensitive species today. Doñana is suffering since decades "stealing water", which is publicly known since its inception and is collected in different reports and documents since the eighties. 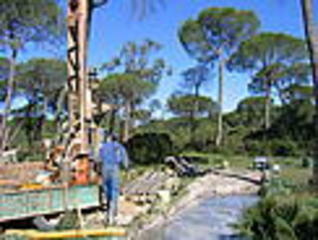 Since then it is also known that the theft of water causes a decrease in the levels of reducing groundwater water available to the Doñana National Park and the lakes and rivers of the area as well as for legal users, and that the proliferation of illegal uses prevents proper management of water resources. The direct consequence is the loss of biodiversity, reduction of services that ecosystems provide to society and unfair competition from illegal users to legal. 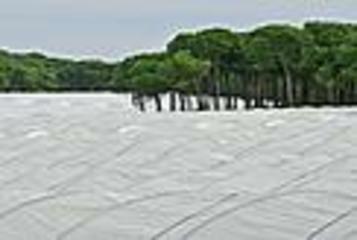 The problems of illegal water use have been reported repeatedly by various international agencies since 1990 (including Doñana in the Montreux Record of the Ramsar Convention) and the National and Andalusian authorities were warned of the urgent need for a solution. But the sense of impunity and lack of governance in the area remains each passing day and illegalities increase. WWF - one of the organisations most involved in fighting against the illegal water use in Doñana - has identified specific instances of illegality in the use of water in Doñana, in five distinct and very significant areas. Overall there are between 1000 and 2000 illegal water use infrastructures according to different sources. Water is a public good and society can not tolerate the "water theft" which causes few breaking the law to obtain benefit at the expense of other legal users of the goods and services provided by ecosystems and the future of the Doñana protected areas. simply cartographical errors and 960 are farms between 2012 and 2015 were not watered any season- so they are not in use and do not involve the loss of any job. The rest of the surface can not be legalized for not complying with other Plan criteria: some 220 hectares are in zone A of Special Protection Natural resources, the POTAD, and the remaining 195 hectares are Monte Public Andalusian transformed after the 1992 Forestry Law. A Sub-regional land-use management plan has been approved in 2014, though according WWF Spain not addressing major issues, and being considered as an amnesty. However, the Plan is not being implemented so far. Why? Explain briefly. There is not yet a result or a political decision in place that would recover ecological status and avoid conflicts. Illegal land-use and water abstraction are not yet adequately penalised in practice.